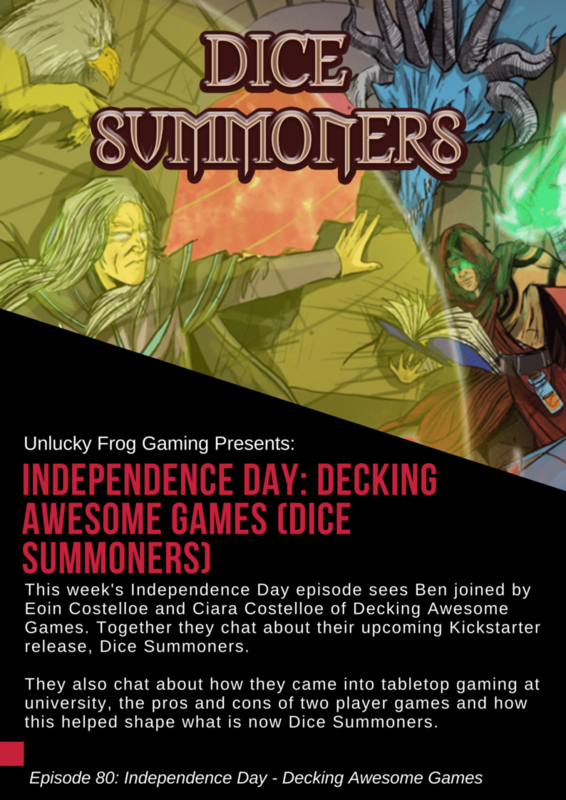 This week's Independence Day episode sees Ben joined by Eoin Costelloe and Ciara Costelloe of Decking Awesome Games. Together they chat about their upcoming Kickstarter release, Dice Summoners. They also chat about how they came into tabletop gaming at university, the pros and cons of two player games and how this helped shape what is now Dice Summoners. Decking Awesome Games will be demoing Dice Summoners at Tabletop Scotland! Be sure to swing by the Play Test Zone to try it out.